From 1975 through 2015, the annual chance that an American would be murdered in a terrorist attack carried out by a foreign-born terrorist was 1 in 3,609,709. Foreigners on the Visa Waiver Program (VWP) killed zero Americans in terrorist attacks, whereas those on other tourist visas killed 1 in 3.9million a year. The chance that an American would be killed in a terrorist attack committed by a refugee was 1 in 3.64 billion a year. Of the roughly 768,000 total murders committed in the United States from 1975 to the end of 2015, 3,024 (or 0.39 percent) were committed by foreign-born terrorists in an attack… The annual chance of being murdered was 252.9 times as great as dying in an attack committed by a foreign-born terrorist on U.S. soil. 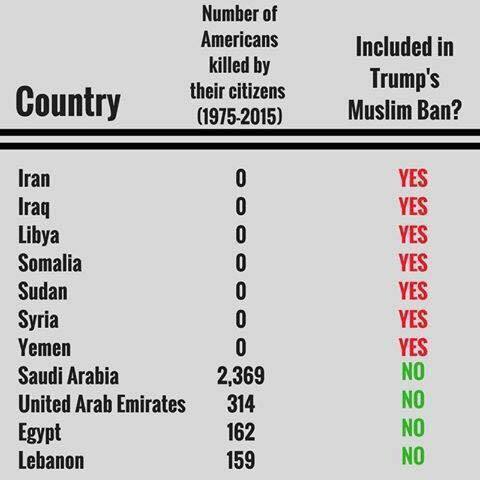 For reference, you have a greater statistical chance of dying from taking a bath, riding a bike, or walking outside than a terrorist attack perpetuated by refugees. 3) We’re keeping terrorists out. The following chart speaks for itself. 4)Refugees are takers not contributors. Although it’s not explicitly stated by our president, its definitely another misplaced fear not rooted in fact. 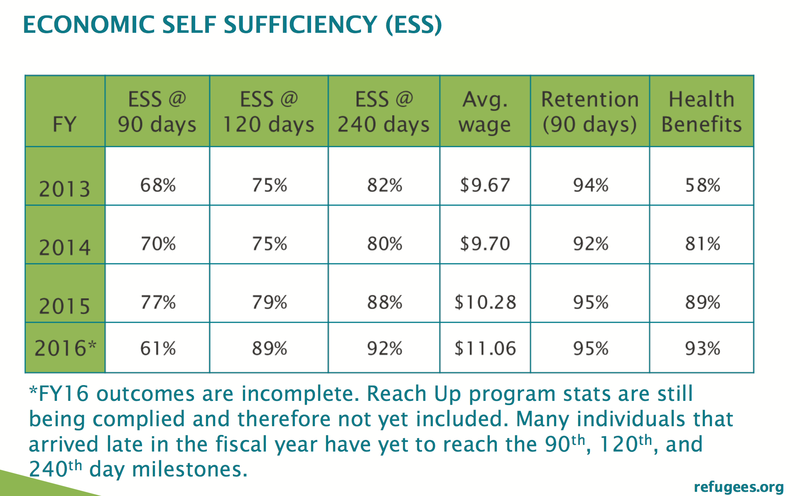 Within 120 days after arrival 89% of refugees attain Economic Self Sufficiency and 92 % within 240 days.